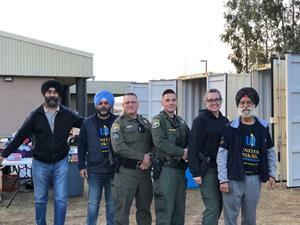 /EIN News/ -- BUTTE COUNTY, CALIFORNIA, Dec. 05, 2018 (GLOBE NEWSWIRE) -- Volunteers at the United Nations-affiliated non-profit UNITED SIKHS commemorated International Volunteer Day with selfless acts of service for the local residents affected by the deadly Camp Fire. 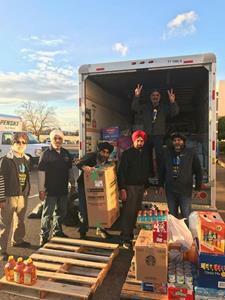 Working with the Gurudwara Sahib in Roseville, Salvation Army and American Red Cross, UNITED SIKHS delivered hundreds of humanitarian aid supplies to fire survivors and first responders across Butte County shelters. The donations included food and beverage supply, as well as blankets, sleeping bags, pillows, baby essentials, and personal hygiene products. Butte County officials announced on Monday the number of the missing dropped to 11 people, while the death toll is now at 85 -- the nation’s highest in over a century. Search and clean-up efforts have resumed, as heavy rain slid through scorched areas last week.